Viking Books for Young Readers, 9780451476357, 96pp. 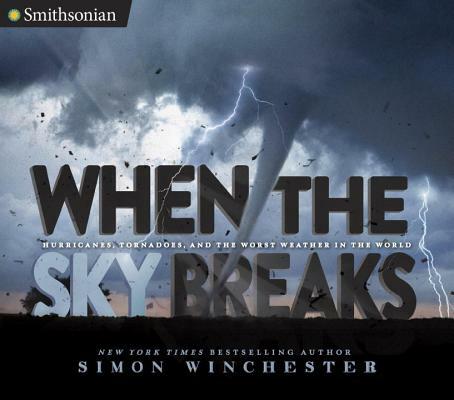 New York Times bestselling author Simon Winchester looks at which way the wind blows in this exciting book about giant storms. Simon Winchester is an avid weather watcher. He’s scanned the skies in Oklahoma, waiting for the ominous “finger” of a tornado to touch the Earth. He’s hunkered down in Hong Kong when typhoon warning signals went up. He’s visited the world’s hottest and wettest places, reported on fierce whirlpools, and sailed around South Africa looking for freak winds and waves. He knows about the worst weather in the world. A master nonfiction storyteller, Winchester looks at how, when, where, and why hurricanes, typhoons, cyclones, and tornadoes start brewing, how they build, and what happens when these giant storms hit. His lively narrative also includes an historical look at how we learned about weather systems and where we’re headed because of climate change. Stunning photographs illustrate the power of these giant storms.